Project Pages — McDonald Building Co. Originally built in 1973, the residential community of New Hope Village was ready for several building improvements. This 160,000 sq. ft. campus is primarily comprised of a 14-story tower, seven 2-story garden buildings, and a 4,800 sq. 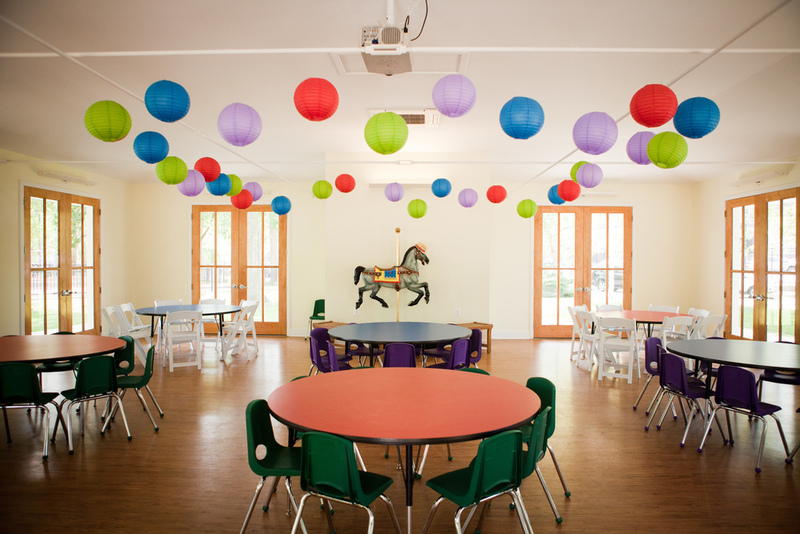 ft. on-site childcare center, a total of 169 units ranging in size from 1-5 bedrooms. Improvement plans called for a full HVAC replacement throughout the campus, window replacements in all units, and a full roof replacement. ADA requirements allowed for some essential improvements in 9 total units as well as ADA-compliant ramps in the parking lots. 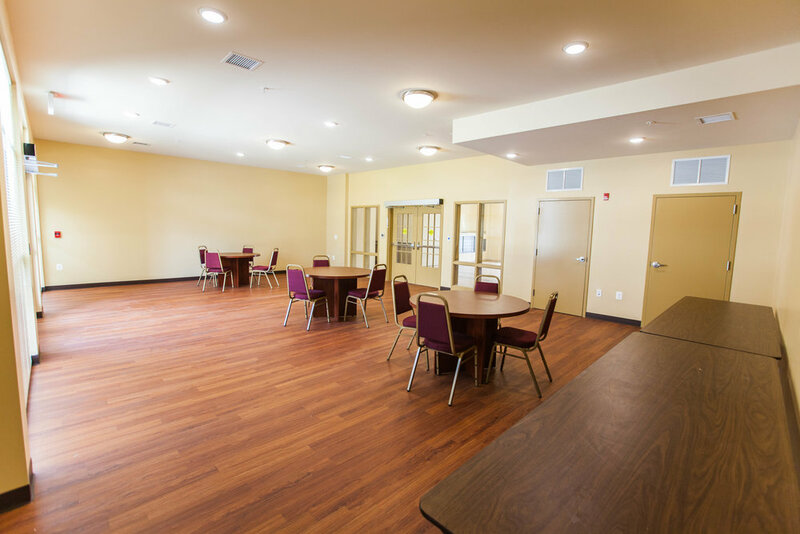 The community room also benefits from new upgrades including flooring, ceiling panels, and lighting as well as gut bathroom renovations. The childcare center continued operations during construction and extra coordination and care were necessary to provide a smooth transition for the residents during these improvements. Additional renovations included new storefronts in both the main tower and childcare center as well as new energy-efficient exterior lighting upgrades for the entire community. Project funding was provided by New Jersey Housing & Mortgage Finance Agency (NJHMFA). John Brooks Recovery Center will soon be expanding access to its substance abuse treatment services to Hamilton Business Park in Mays Landing. In addition to their Pleasantville, NJ location built in 2016, this new 58,000 sq. 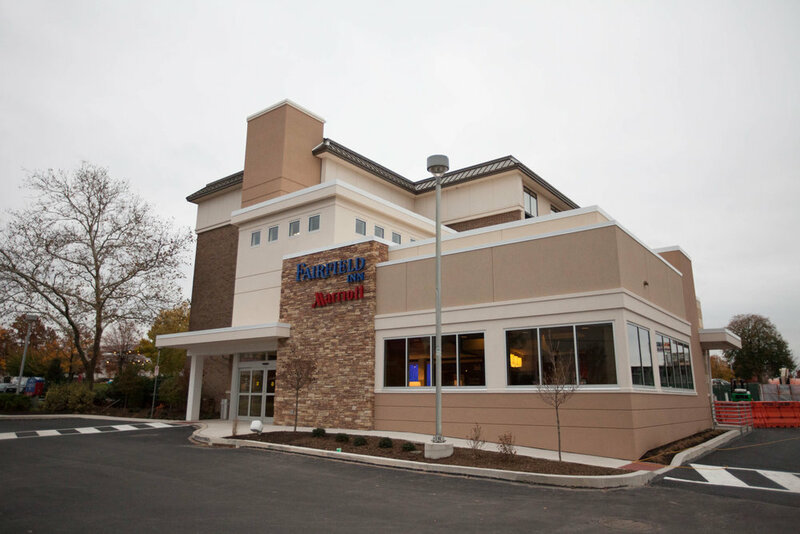 ft. ground-up inpatient facility intends to reduce the shortage of short-term beds for recovery patients in South Jersey. 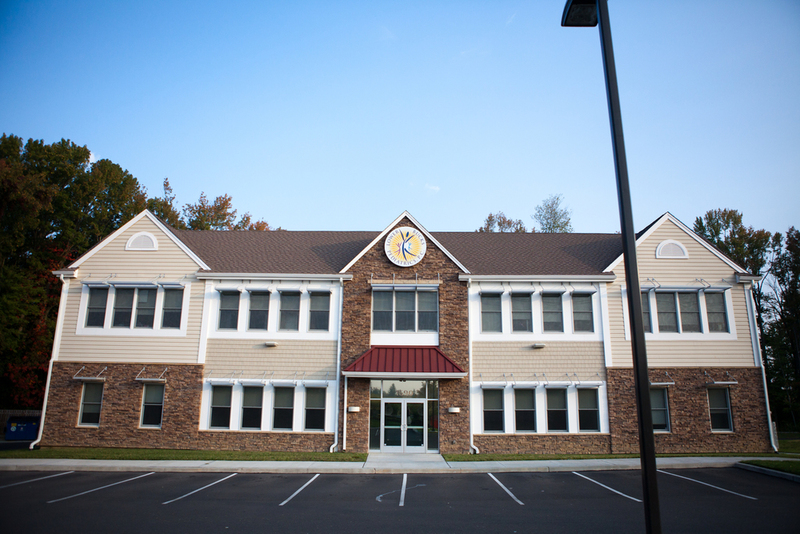 John Brooks Recovery Center (JBRC) currently offers long-term residential and outpatient addiction services with case management, counseling and medication assisted treatment among four locations in Pleasantville and Atlantic City. The two Atlantic City residential locations have recently sold to CRDA (Casino Reinvestment Development Authority) and the proceeds from the sales will partially fund the new Mays Landing facility. This $15 million, two-story wood framed building will offer 120 inpatient beds – short & long term as well as detox beds. 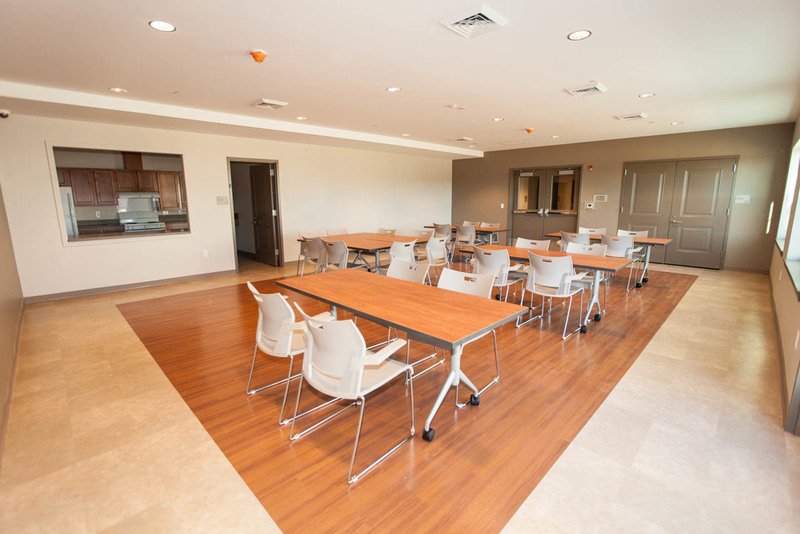 Supportive services among others include a fitness/exercise area, dining areas, medical exam rooms, administrative offices, counseling lounges and outdoor courtyard space. Construction is anticipated to last about 11 months and open for services in early 2020. LIVE construction webcam COMING APRIL 2019. Future plans include a 15,000 sq. ft. Early Childhood Education Center on the 1st floor and 55,000 sq. ft. of affordable apartment rentals on the 4 floor above. construction and demolition waste will be recycled and all buildings are expected to use 20%-40% less energy and water than a standard building. The building will be LEED Certified under the Core & Shell criteria. 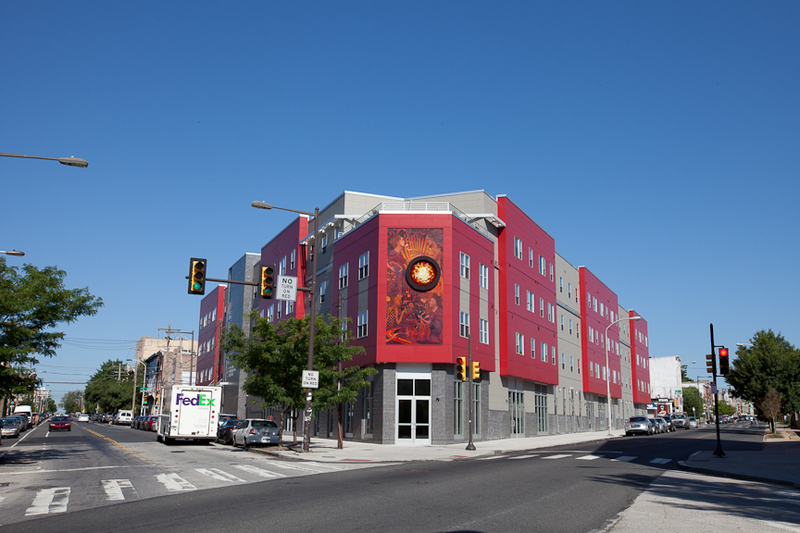 New Market West is funded in part by local and state funding agencies including PIDC, RACP, City of Philadelphia, Commonwealth of PA and several others. CLICK HERE TO VIEW OUR LIVE CONSTRUCTION CAM. 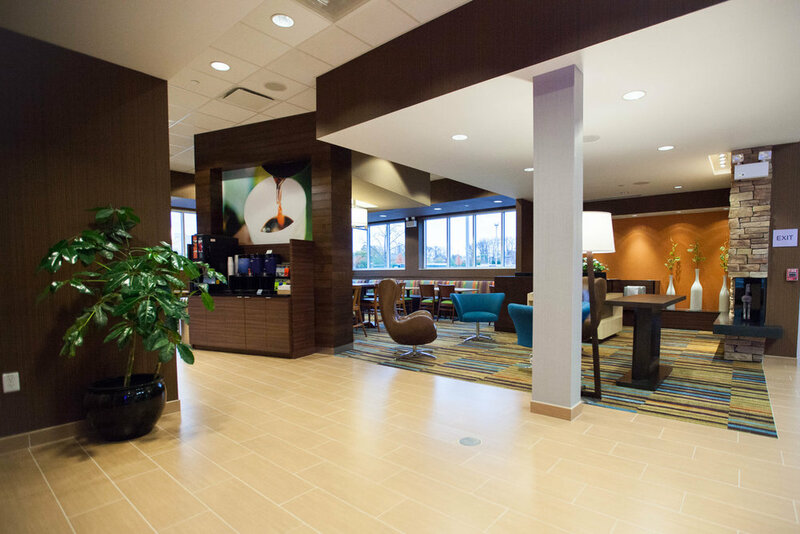 Extensive renovations and additions to existing five-story hotel with 80 guest rooms. Phase 1 of construction is currently replacing the sewer main that runs under the corner of the new addition. The 1-story building attached to the hotel was demolished and a new three-story lobby featuring a gymnasium has been added along with new elevator buildings. Construction began in February 2017 and lasted 8 months. Formerly a Beer Distributing Warehouse, this 21,000 sq. 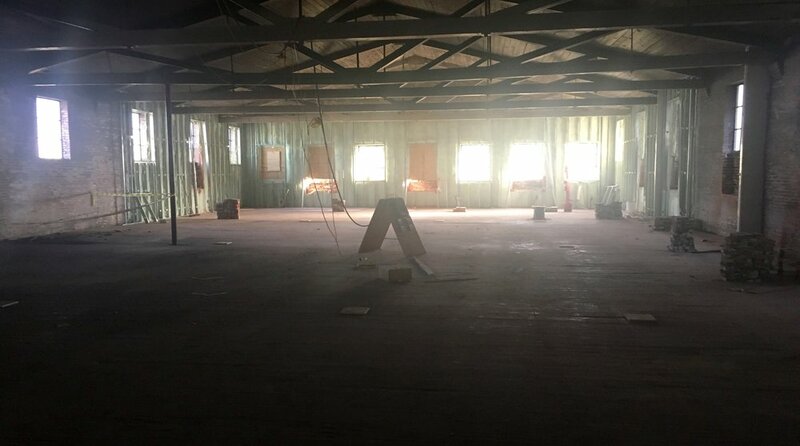 ft. industrial shell was purchased by Holy Ghost Preparatory School in 2015 and was being used for several sports and activities until formal renovation plans got underway. panels for various musical & theater productions. A 7,000 sq. ft. multi-purpose gymnasium is now available for students and will primarily host basketball, track & field events, a state-of-the-art ERG room for crew training, and various other sports. The large structural columns along the gymnasium ceiling were strategically replaced to allow for an open floor plan and to accommodate sporting events. 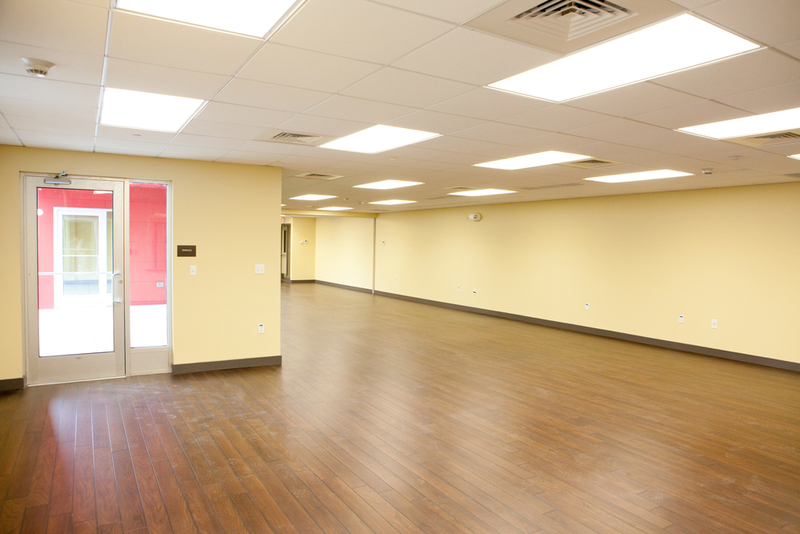 Additional renovations included a music & arts room, bathrooms, exercise/gym equipment room and storage space. Construction began in April 2017 and lasted 9 months. Formerly the Conte Luna Pasta Factory built in 1936, McDonald Building Company now occupies the first floor of this industrial office building on the edge of Norristown borough. A primary focus for MBC’s new offices were to provide a unique & comfortable work environment for its employees and to retain the original ductwork and mechanical systems. This 6,500 sq. ft. tenant fit-out was converted from the previous commercial tenant within two weeks. 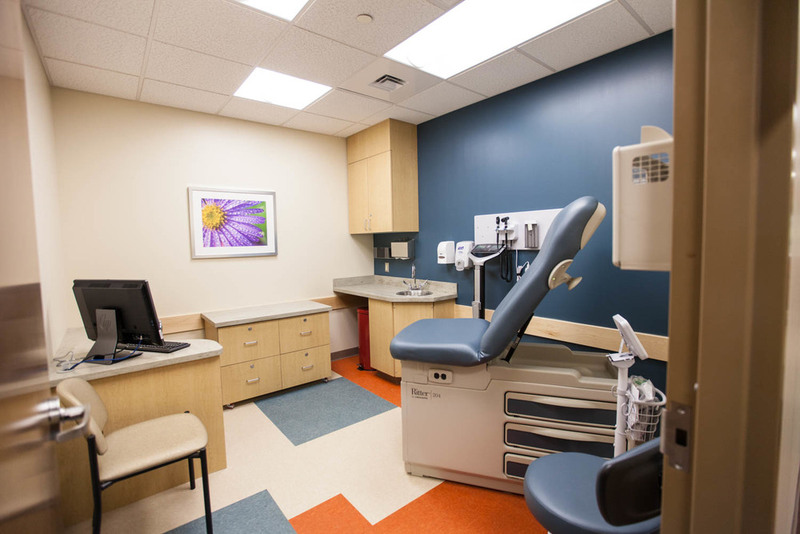 This $350,000 renovation project provides a new and comfortable space for pediatric patients at the oncology infusion therapy clinic at St. Christopher's Hospital for Children. 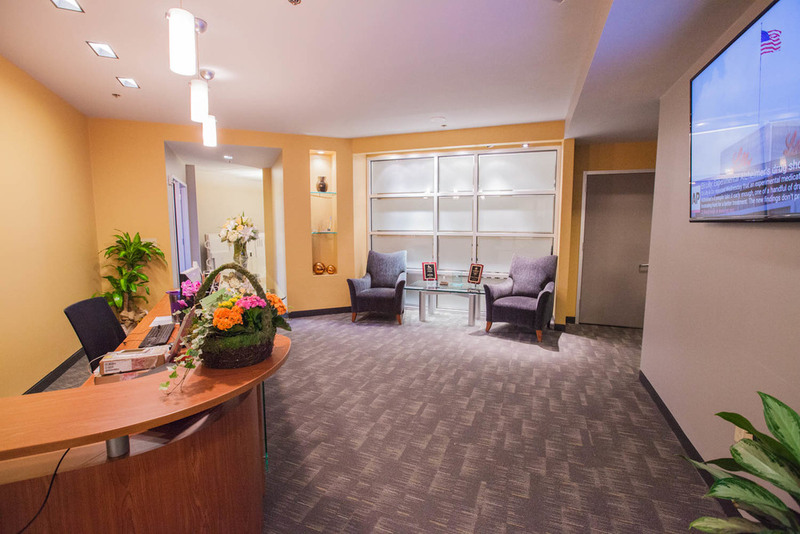 This 5 month project included a complete overhaul of the flooring and cabinetry throughout the space, improved reception area offering greater privacy for patients during check-in, and updated finishes throughout the space. Construction was complete December 2016. 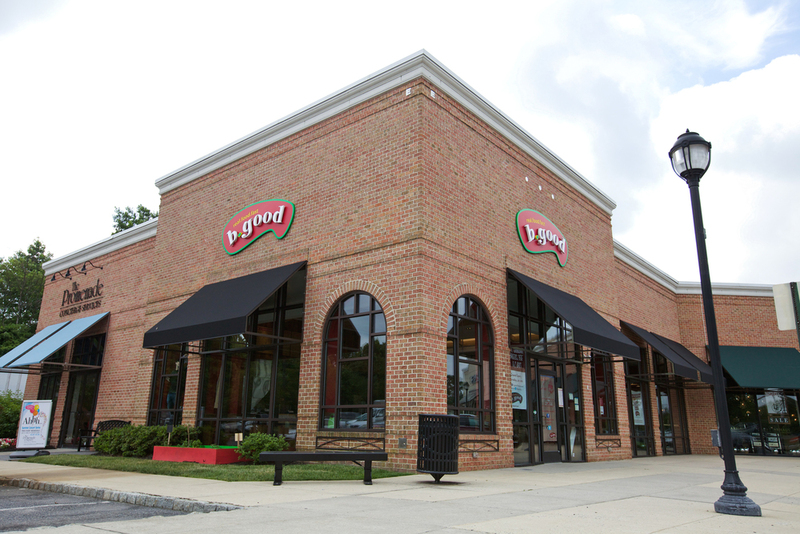 This new pizza restaurant occupies one of many new retail operations in the 150,000 square foot expansion over Mall Boulevard, creating a new luxury retail corridor combining the two separate malls The Court and The Plaza into the largest mall in the United States at 2.9 million square feet. 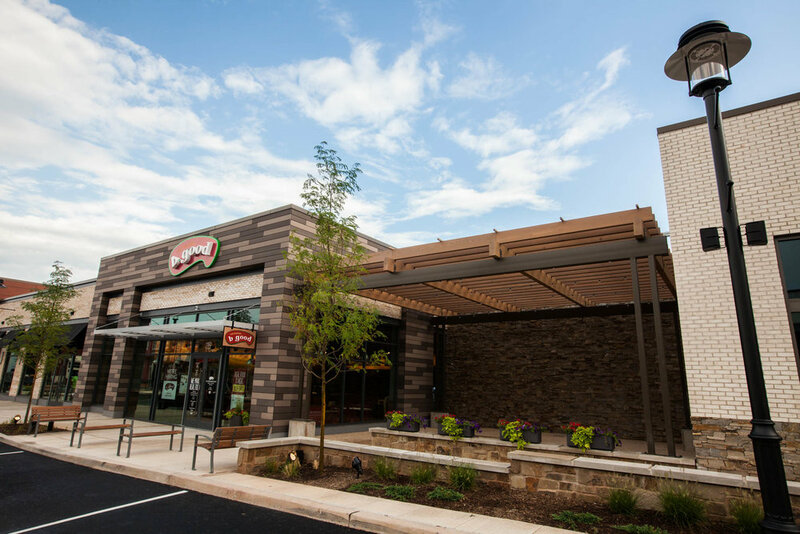 Chef Michael White’s New York-based Nicoletta Pizza opened its latest incarnation at the centerpiece of the expanded King of Prussia Mall, in the new Savor dining area. The space features a pizza creation zone with four brick ovens visible from the seating area, plus a gelato maker and a kitchen for other Italian specialties. Construction was complete August 2016. Located at the former Lans-Bowl property in Lansdale, North Penn Commons brings together four organizations to this $27.4 million multi-use gateway complex that will include a YMCA expansion and new locations for Manna on Main Street to operate its soup kitchen, and The PEAK Center, programs for active adults, all connected by a unified atrium. 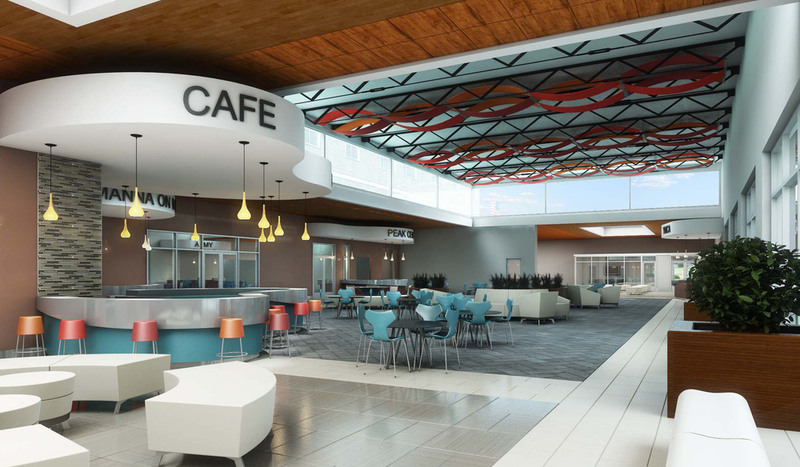 This all-access lobby will connect the campus and serve as the heart and hub of activity for all residents, members, clients and community members. 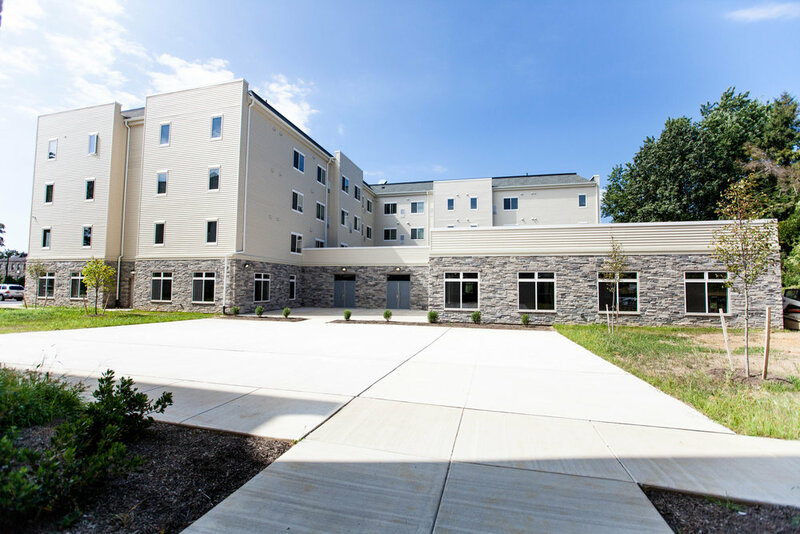 The $12.6 million, 4-story facility will provide 60 residential units of affordable and transitional housing opportunities for seniors and older adults with disabilities. 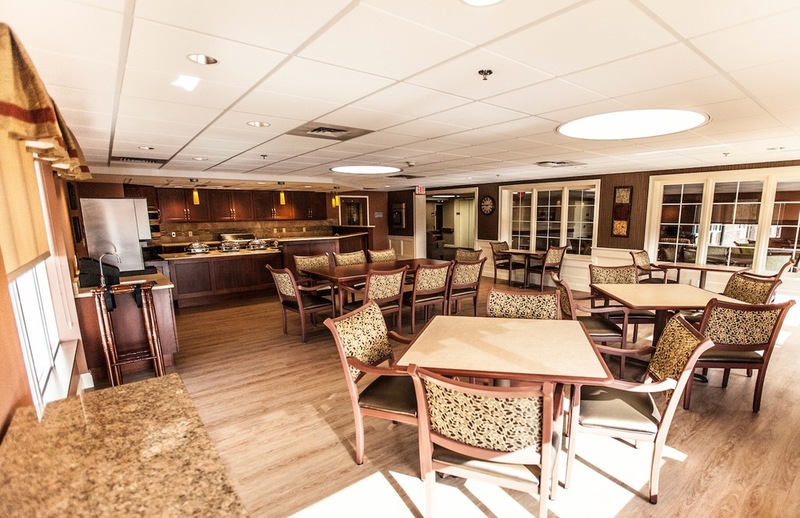 Advanced Living Communities and features on-site resident services including recreational activities, medical & educational resources, and access to supportive services and transportation for the aging community. Construction began May 2015 and residents began moving in September 2016. Elmwood Zoo’s latest NEW exhibit: “Majestic Predators: On the Trail of the Jaguar”. 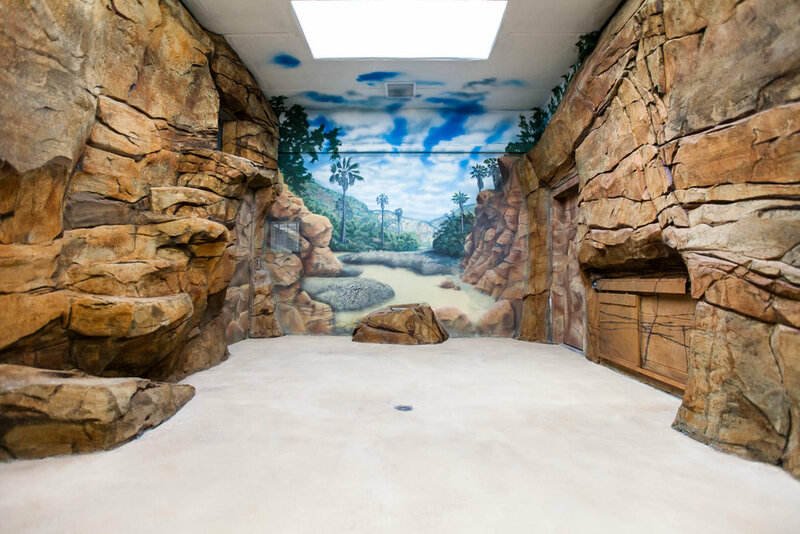 This exhibit is the new home to the Zoo‘s jaguars and new baby cubs Luna and Diego, as well as three jaguarundis and three ocelots. The four building structure will treat guests to indoor, climate controlled viewing areas and the animals will have a number of interactive features to encourage their natural behaviors & emulate their natural habitats. The exhibit space is also used for special events and weddings hosted by the Zoo. The initial sitework included preparing the sloped 5,300 sq. ft. area with a 14 ft. retaining wall. Features include shotcrete rock work (faux landscape material), pre-cast plank roofs, a pump house to operate the water features & life support system, a training structure, visitor restrooms, and galvanized steel interior cages. Aviary netting encloses the exhibit. Construction was complete and open to the public early 2017. The shaping and roughing out rock work with steel and lath to create the artificial hardscaping habitat. A renovation of an existing five story health center is planned to service the short term care and long term care residents of Pine Run Retirement Community. This 88,000 sq. ft. health center will feature 123 resident rooms, dining & living areas, activity centers, and event gathering spaces for visitors. The new Health Center opened May 2015. 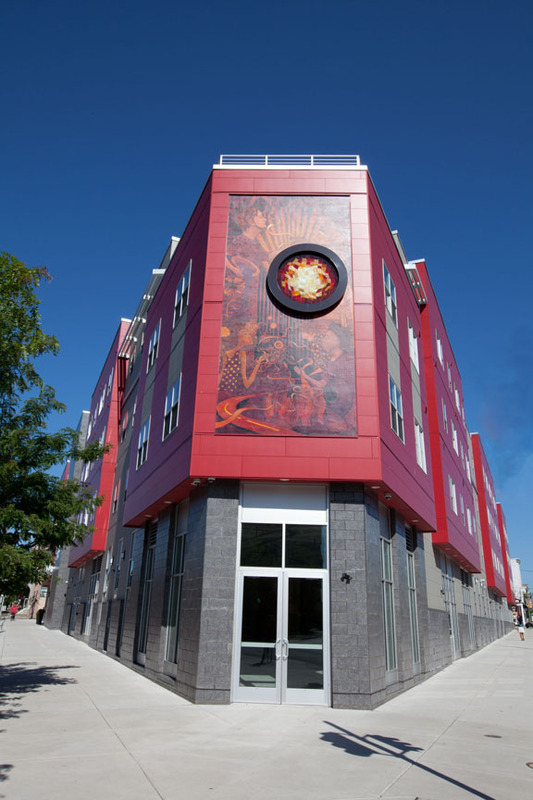 This 9-story mixed use building is located in the heart of Chinatown and includes 2,800 sq. ft. of ground retail space along Arch Street. 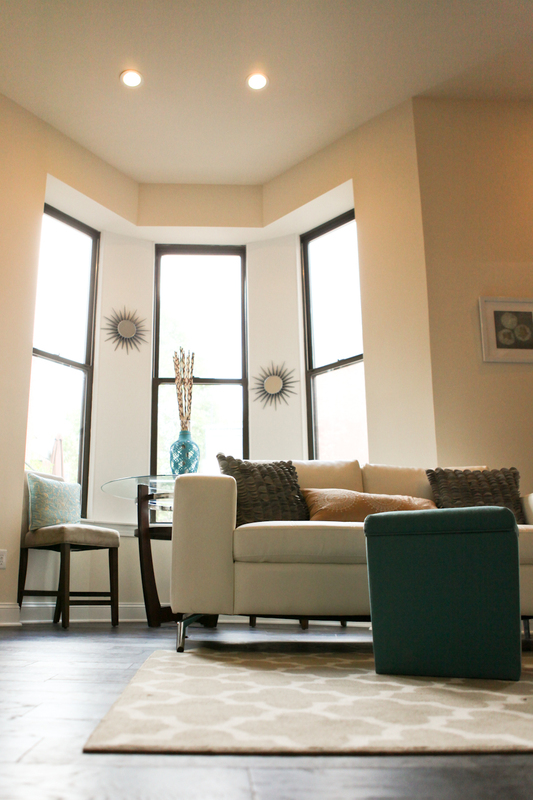 Six residential floors were built consisting of 13 efficiency apartment units per floor. Two residential floors hold 8 efficiency apartment units as well as several amenity spaces including exercise room, library/wi-fi, admin offices, and two terraces with cityscape views. Sustainable construction highlights energy efficient lighting throughout and "day-lighting" features in stair towers. Certain building materials originate from recycled content and 80% of the roof area is intended for a vegetative green roof. Construction wrapped up November 2015 with LEED Silver certification. This project was constructed on a joint venture basis by McDonald/Driscoll JV. 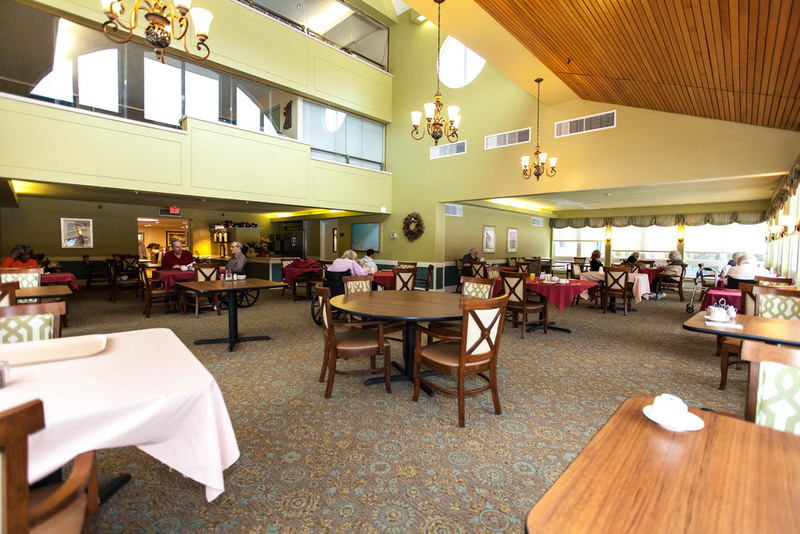 This multi-phase occupied renovation project will start with the creation of a 25 room Memory Care Unit on the first floor, new wandering garden, complete façade restoration of the entire building, window replacement, roof replacement, lobby, dining and kitchen upgrades, and miscellaneous site improvements. Phase II includes resident room upgrades on the upper floors, new finishes in the common areas, vertical transportation improvements including new elevator tower, new sunroom/lounge and multiple exterior landscaping/hardscaping upgrades. Construction will wrap up this summer. 13,000 SF renovations including repointing and resealing of the exterior stone envelope, below grade waterproofing and re-grading, window replacement, and selective demolition of interior portions. Finishes will all be removed, new ADA compliant toilet rooms will be installed as well as new ceilings, lighting, and finishes. All mechanical, plumbing and electrical systems will be replaced. 7,000 SF phased construction while the building is being occupied and utilized. Renovations include demolition, an expanded vestibule, updated waiting areas, conference rooms, restrooms, ceilings, lighting, and finishes. All mechanical, plumbing and electrical systems will be replaced. Construction was complete in August. Interior fit out/renovation of approximately 40,000 square feet of the 1st, 2nd, and 3rd floors. This single phase project primarily includes a full renovation of all trades including demolition of existing partitions, finishes, and installation of new mechanical, plumbing and electrical systems. Features include the construction of 27 new exam rooms, 3 new lab rooms, a new auto clave room, 7 new MD Offices, 2 new team work centers, 2 intake nooks, 6 new toilet rooms, a new shared kitchen, reception, and waiting area as well as the interior finish replacement of 2 elevators. The 2nd and 3rd floors will be receiving upgrades to the finishes throughout the common areas including the removal of the existing flooring, new paint and new carpet. The new space welcomed patients early August 2015. 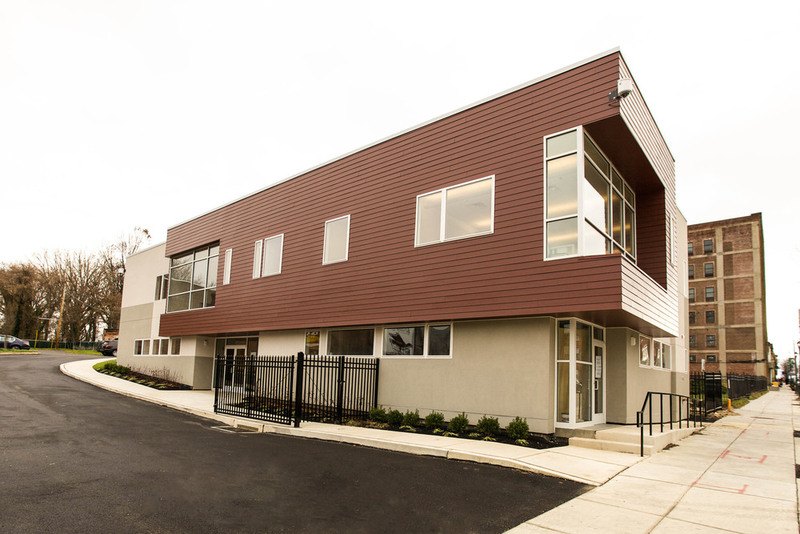 HELP Philly IV is a newly constructed three-story, wood frame building dedicated to providing affordable transitional housing solutions and other residential and social services for the 55+ community. 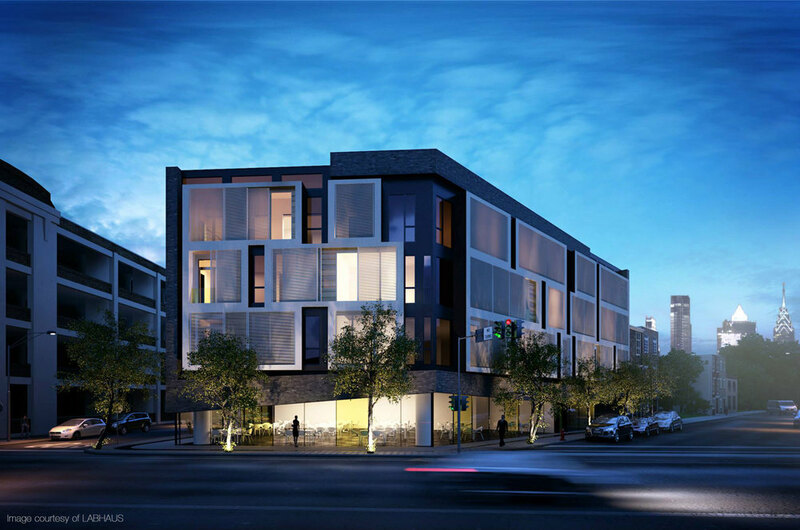 The 61 unit project includes residential units reserved for homeless veterans. 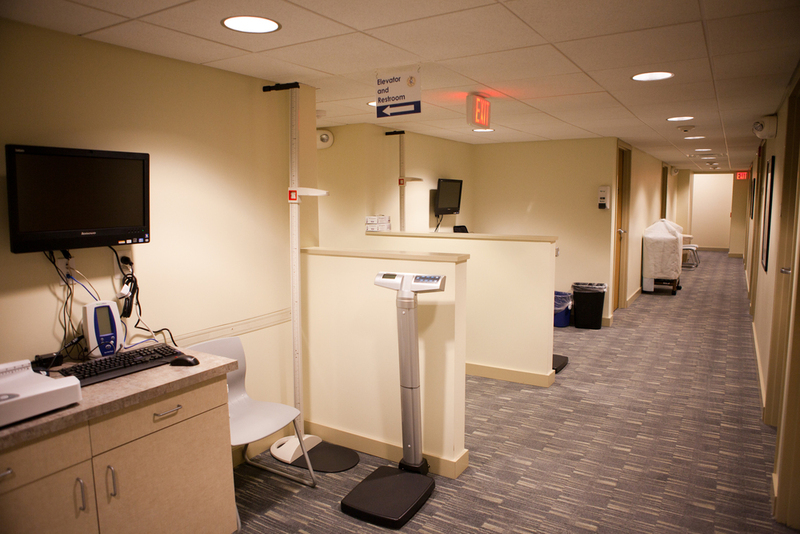 The building also includes medical offices and physician exam rooms, community space, and administrative offices. The exterior facades will feature brick veneer and fiber cement panel siding. Project broke ground in January 2014 and was completed one year later. 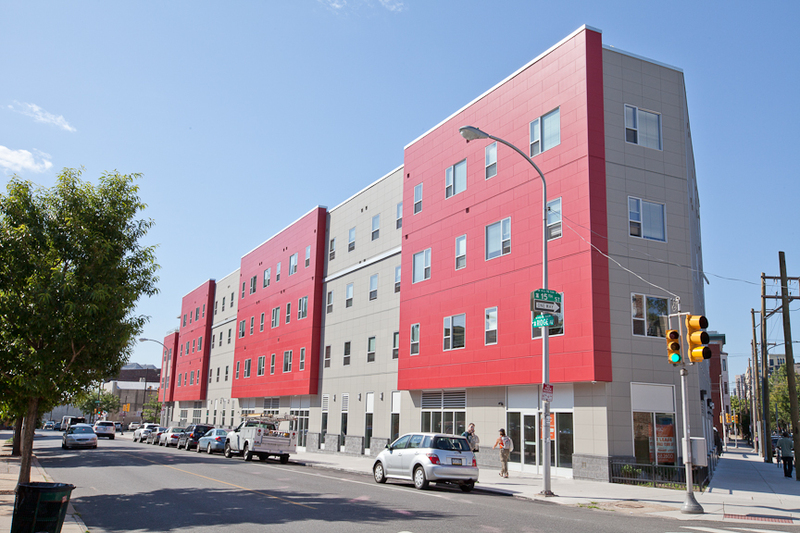 Founded in 1986 by Governor Andrew Cuomo and recognized by the United States Congress as a national model, HELP USA is one of the country's largest builders and operators of service-enriched transitional and low-income permanent housing. HELP USA has 19 residential communities in the New York metropolitan area, Philadelphia, and other communities throughout the country. MBC provided interior renovations and equipment upgrades to the Interventional Radiology Suite at Kennedy Hospital - Washington Township. The work primarily involved installing new steel and utility systems to support new Siemens radiology equipment. Features include upgrades to the finishes and lighting in the procedure, equipment and control rooms along with ceiling device upgrades to the 3 prep and recovery bays, nurses’ station, toilet rooms, and corridor. Construction was complete in less than four months. This privately owned and operated Home Health Care Agency relocated its headquarters to Germantown Avenue in Philadelphia. The new two-story 10,000 sq. ft. office space accommodates the growing needs of home-based care in the Philadelphia region and includes a partial-vegetative roof system. Construction was completed in December of 2014. This 3-story former school was half vacant and half occupied by an operating daycare facility. 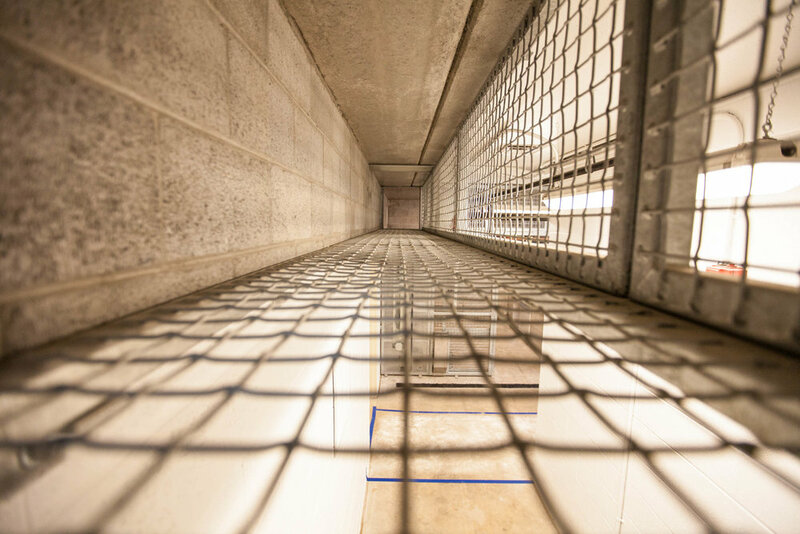 The Archdiocese install a demising wall to fully separate the two areas including separate fire alarm systems and primary & secondary electrical systems. The 27,900 sq. 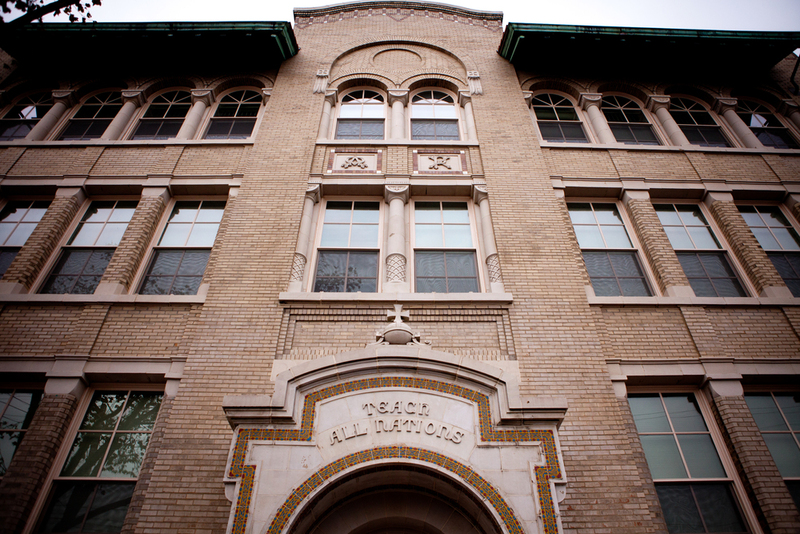 ft. of vacant space was developed into administrative offices for St. Gabriels Parish. 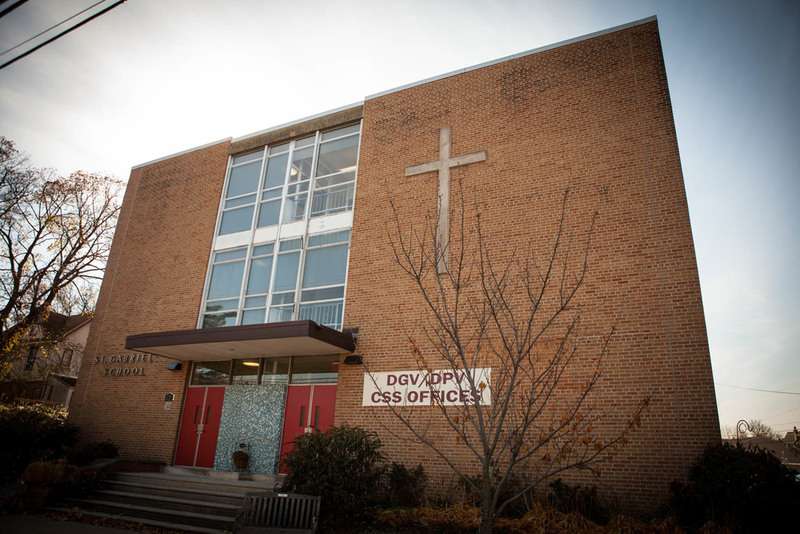 The $1.4MM of renovations began in March 2014 and was completed in October of 2014. Formerly law firm office space, this 80 year old building is the new home of 19 studio apartments to serve residents local to University of Penn and its Hospital. The adaptive reuse of this 11,000 sq. ft. space complies with the Secretary of the Interior Standards for Historic Preservation by maintaining the integrity of the interior windows, trim, masonry details, and other historic fabric. Structural stabilization work was performed prior to individual unit development in this 4-story building. The project was completed in January of 2013. Historic renovation of these three-story brick façade rowhomes include code upgrades, energy-efficient improvements, masonry restoration, historic window replacement, roofing, new mechanical plumbing & electrical systems, and all new finishes. All renovations will comply with the Secretary of the Interior Standards for Historic Restoration and will be approved by the National Park Service. Funding provided by Pennsylvania Housing and Finance Agency (PHFA) and First Trust Bank. 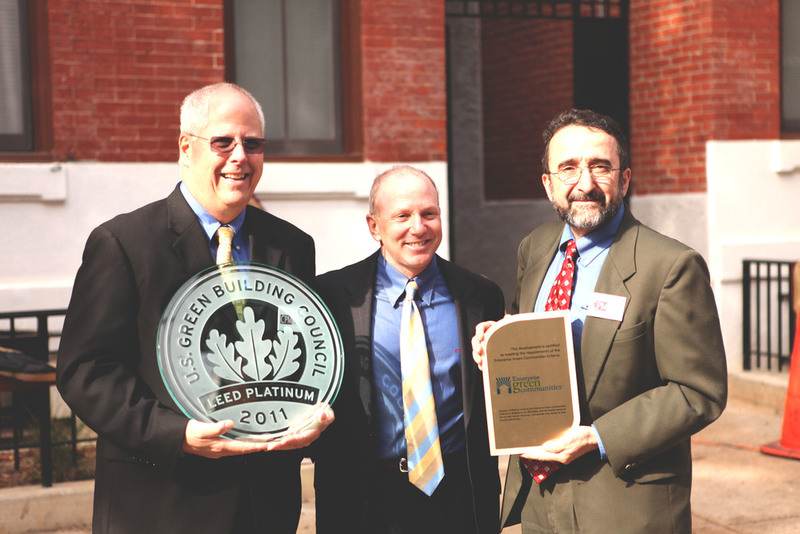 This project was highlighted at GreenBuild2012 in San Francisco, California. 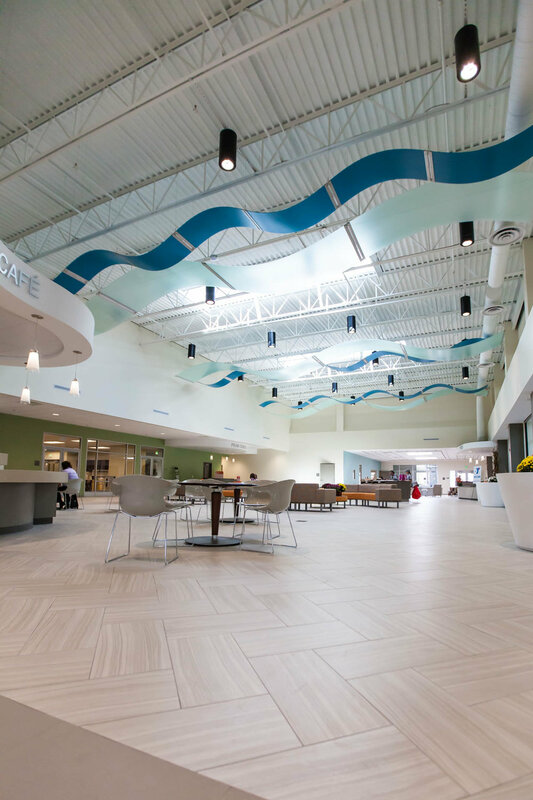 Project finished in four months early and achieved LEED Platinum certification, it is now considered the largest gut rehab project awarded LEED Platinum in the nation. Major additions and alterations to this 24,000 sq. ft. full-service auto dealership on Essington Ave. 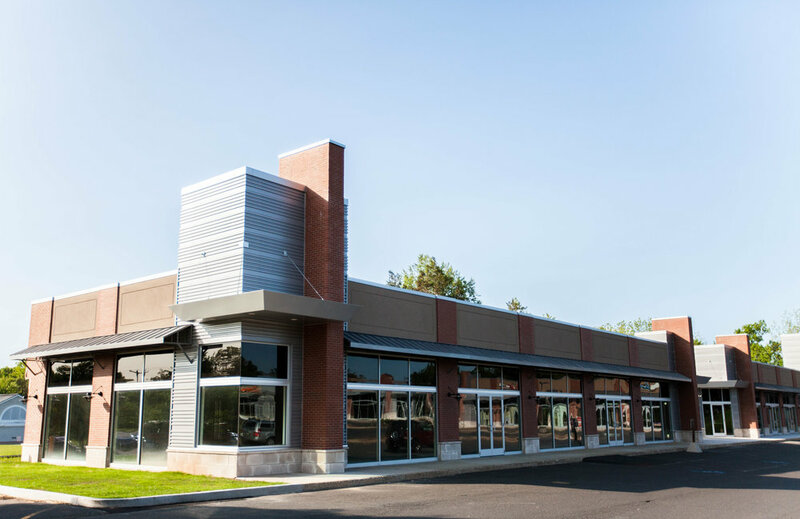 The expansion and renovations were phased as the existing dealership remained fully occupied and operational during construction. Three main components were added to the existing buildings: a service extension, link between the sales and service buildings, and a new controlled service dropoff/writeup area along with sitework. Work began December 2012 and was completed August 2013. This project consisted of additions and renovations to the auto dealership on Roosevelt Blvd in Philadelphia. 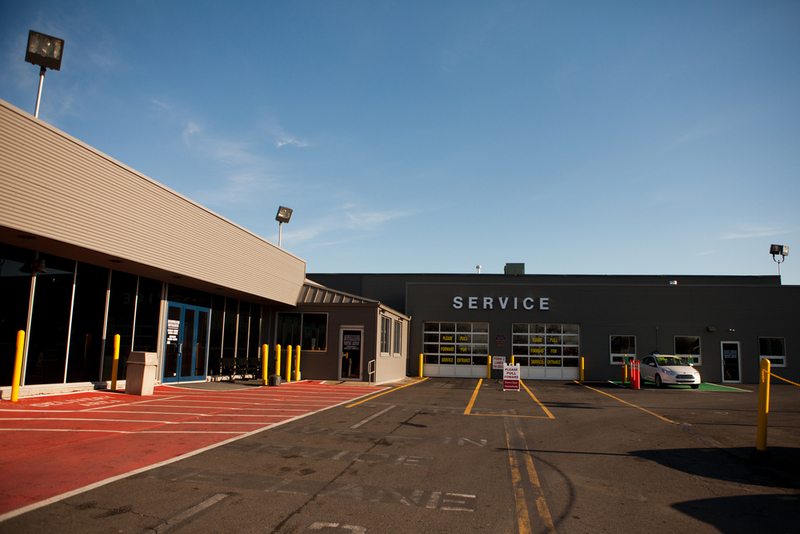 Improvements include new showroom, and upgrades to the entrance and service department offices along with a controlled environment express service drop-off/pick-up area and mezzanine parts storage. 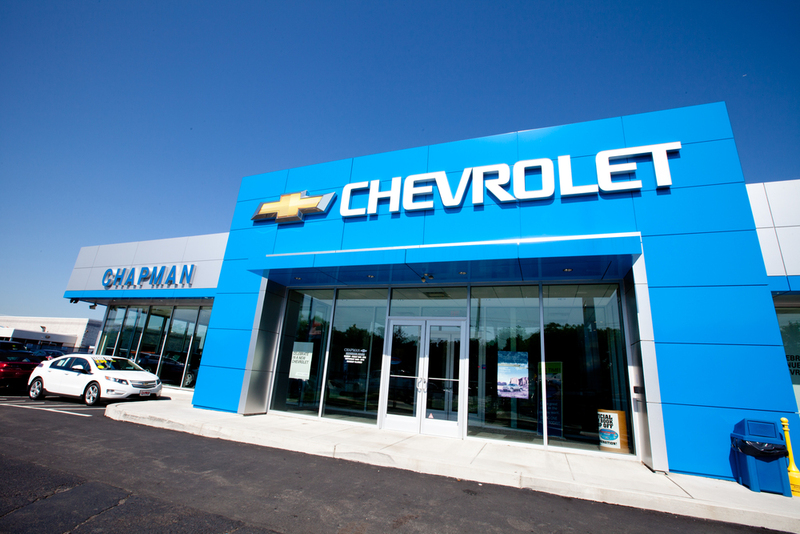 Chapman Ford’s sales and operations remained open during this 3 month project till the project completion in October 2012. 22,000 sq. ft. retail center and sitework in downtown Philadelphia at the corner of Ridge Ave. and Sedgley Ave. Dollar General will be the anchor store along with seven individual retail stores. New restaurant fit-outs at the Promenade @ Sagemore in Marlton, NJ- an upscale open-air shopping venue, Wynnewood Shopping Center in Wynnewood, PA and King of Prussia Town Center in King of Prussia, PA. b. good Restaurant's mantra is to serve real food made by real people - fast food, yet utilizing local farmers and offering seasonal menu items. Both completed projects include all new food prep/food line, kitchen equipment, interior finishes, dining room, built-in seating, restrooms, and support space. 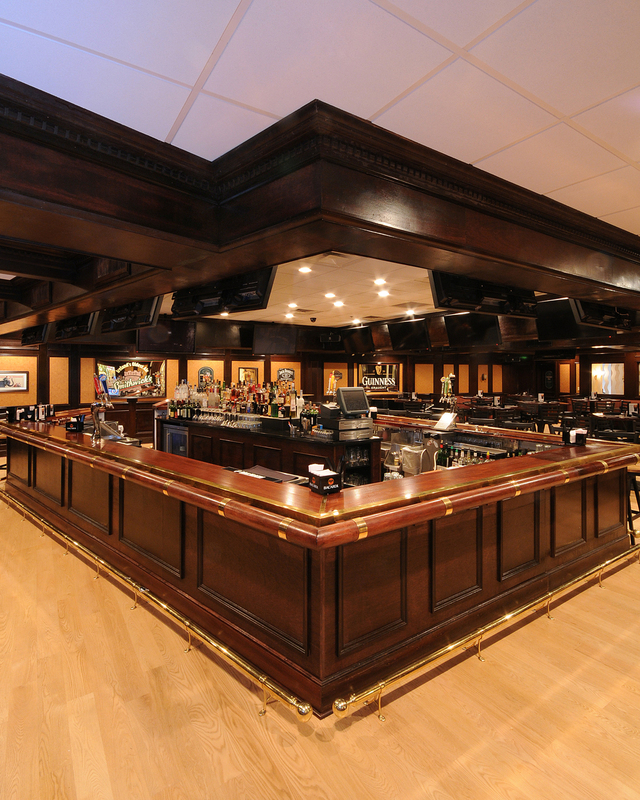 Construction began in April 2014 and was complete in 3 months at the Marlton location. 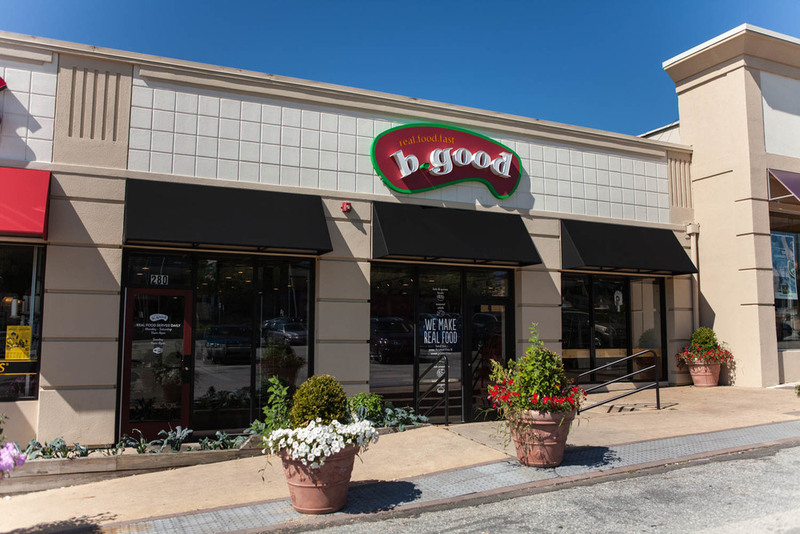 A 6 week construction period for the Wynnewood location opened in July 2015 followed by the King of Prussia location complete the following year. Gut renovation and demolition of 1-story commercial office building into new law offices. This new space includes a detailed lobby/waiting area, custom millwork, installation of new lighting and finishes. This two story fully functional and operational Pediatric Care Medical Facility was rehabilitated to add additional exam rooms and laboratory support space at the unoccupied upper level. The construction process was predominately completed during operational hours and with minimal disruption to the staff and their patients. Construction began Summer 2013 and was open for patients by early Fall. This 4-story historic building in the Strawberry Mansions section of Philadelphia once housed the parochial school for the adjacent Most Precious Blood (MPB) Roman Catholic Church and is listed on the National Register for Historic Places. 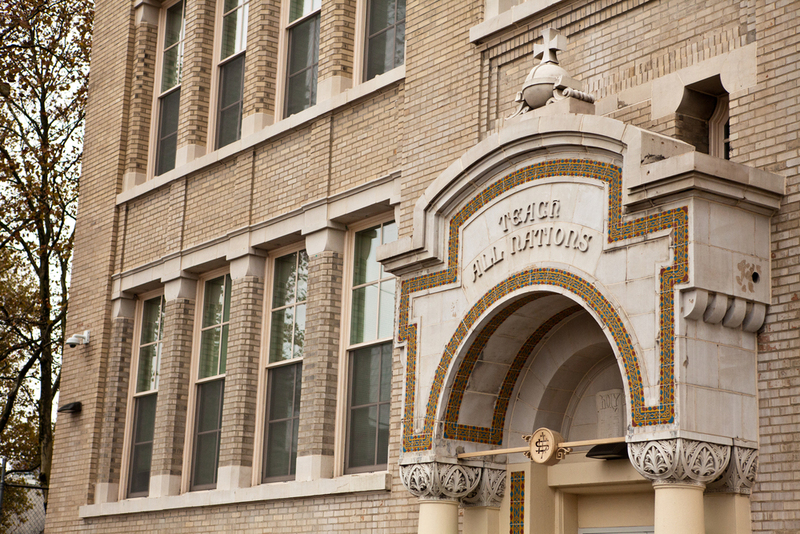 This former school was transformed into 28 two-three bedroom affordable apartments and preserved the original school room doors, wood windows, corridors and entrance tile floor. The 38,000 sq. ft. building received extensive updates to the exterior façade and masonry, including a copper & tile “cool roof” system and incorporated sustainable design elements intended to meet Enterprise Green Communities criteria. To name a few, new solar thermal panels provide hot water for all common areas, including laundry facilities and all units received Energy Star high-efficiency appliances. 85% of the construction waste was diverted from landfills to recycling facilities. Funding was provided in part by PHFA & PHA. Construction lasted 9 months and was complete Summer 2013. Originally built in 1921, this nine-story, 224 unit apartment complex underwent several areas of renovation. Scope included the demolition of existing/abandoned gas, steam and plumbing systems along with the removal of old ductwork and fire sprinkler lines. Electrical systems and service were upgraded to include new transformers, switchgear, emergency generators, electrical distribution and service panels for each floor. 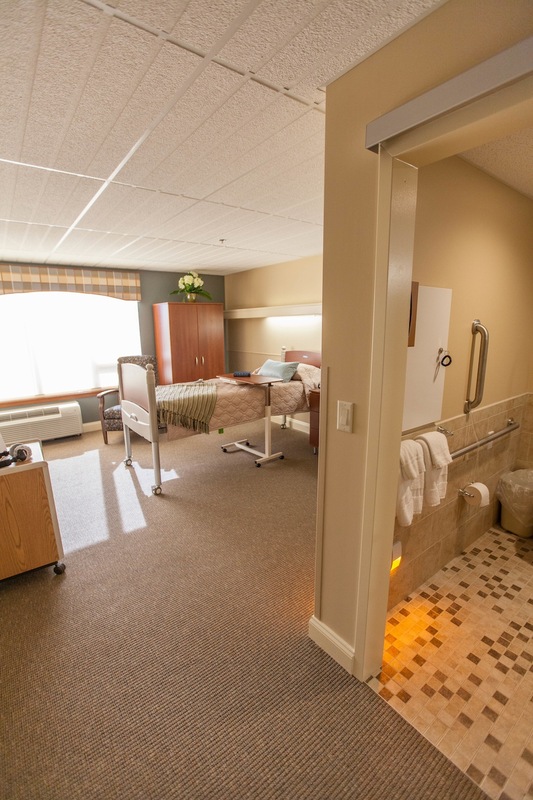 Eleven new ADA-compliant resident rooms were also built. Construction was completed in May of 2013. This new residential facility integrates 80 units of safe, accessible, affordable housing to the 3.8 acre campus of Inglis Gardens. 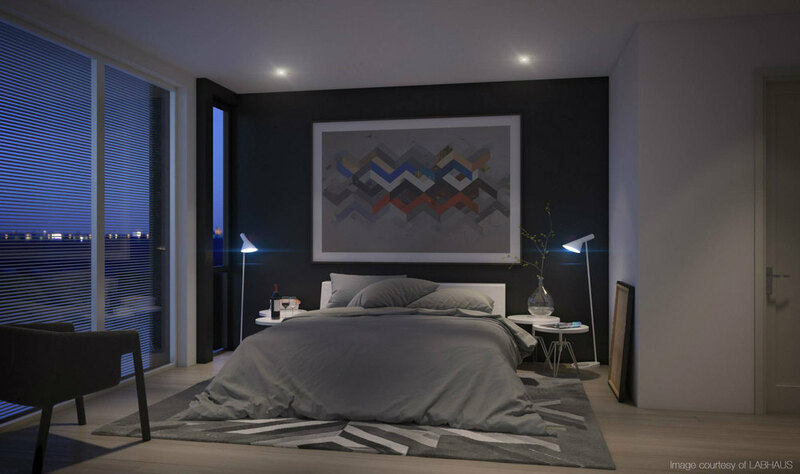 Inglis Gardens will feature two buildings, each providing 40 units of 1, 2, and 3 bedroom apartments. 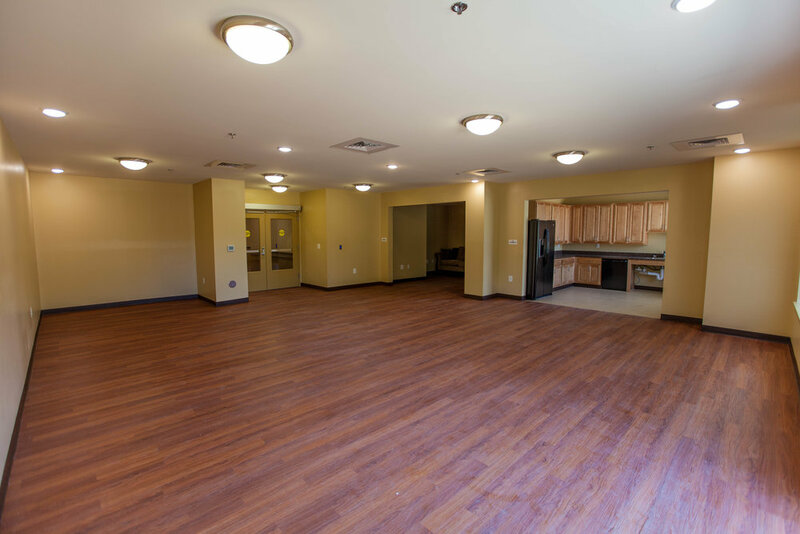 One building will feature enhanced accessibility apartments for those with disabilities, primarily for those transitioning from nursing homes. families. 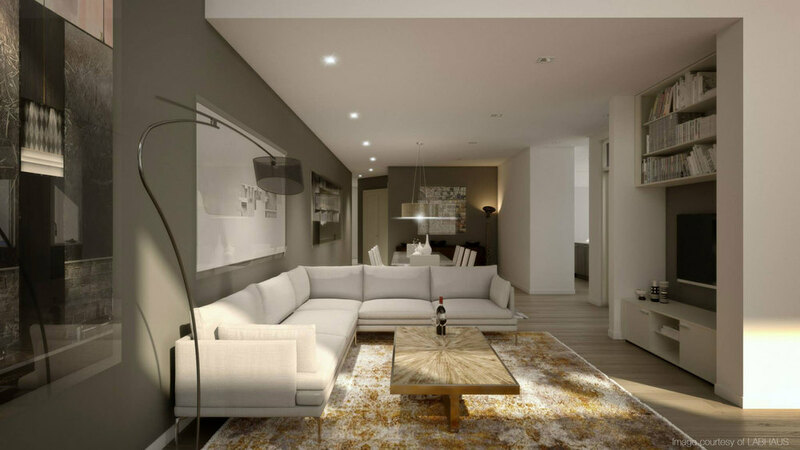 The majority of the financing is provided by PHFA and PHA. Construction began January 2015 and residents moved in November 2016. The façade renovations of the existing front and side elevations of four retail buildings are to include new storefronts, canopies, exterior finishes and lighting. Modified entrances are being added to the structures for upgraded finishes and utilization. Extra schedule coordination and phasing are planned as the tenant spaces will remain occupied and operating during construction. Horsham Corner began renovations in May and will be complete in November 2015. Initially constructed in 1912, this brick warehouse complex served first as the Leibowitz Shirt Factory, then the Fecera’s furniture warehouse, and will soon convert to 43 sustainable affordable apartments for the Pottstown community. The 56,000 sq. ft. space calls for rehabilitation of the site and structures into mixed-use residential geared towards local artists as well as commercial space. 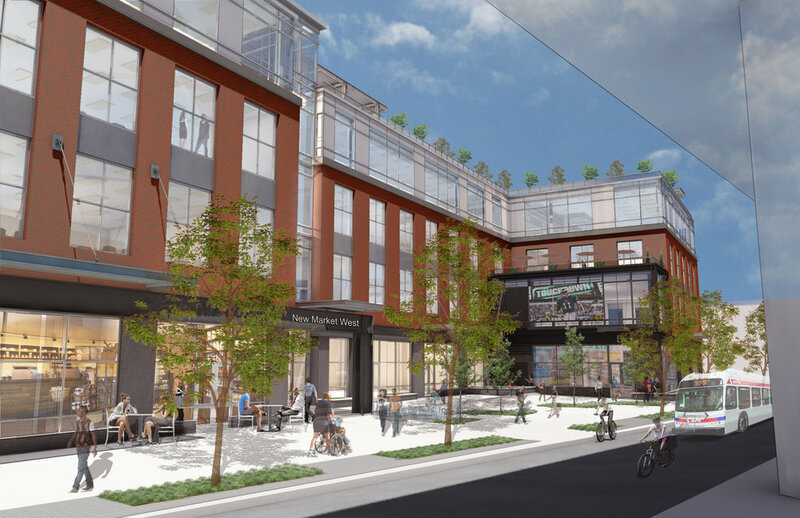 Site developments are also planned to compliment the site including landscaped parking lots, a new central open air courtyard and other amenities such as gallery space, leasing offices, and a community room. Construction began early 2016 and was ready for move-in mid- 2017. 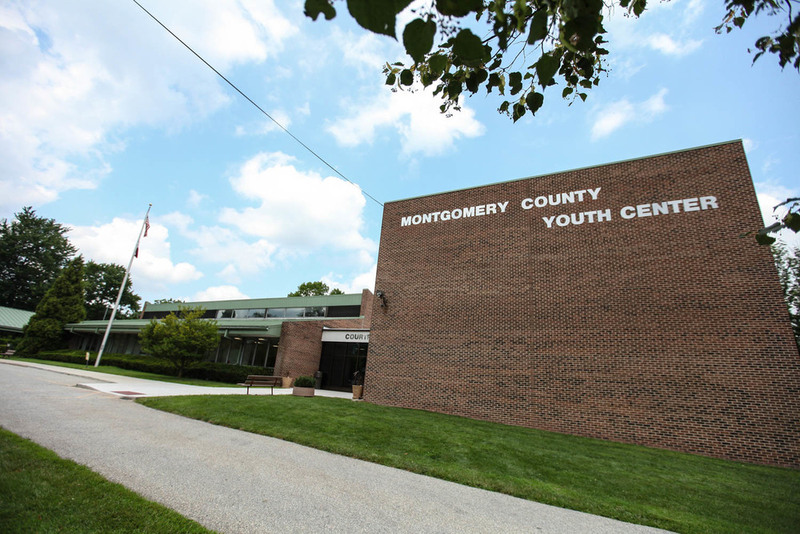 Funding is provided in part by PHFA and Montgomery County. 10,000 sq. ft. tenant fit-out for a Center City structural engineering firm. MBC demolished the previous tenant’s space and installed all new partitions, fire protection, tele/data, HVAC, lighting & electric as well as custom millwork and doors. 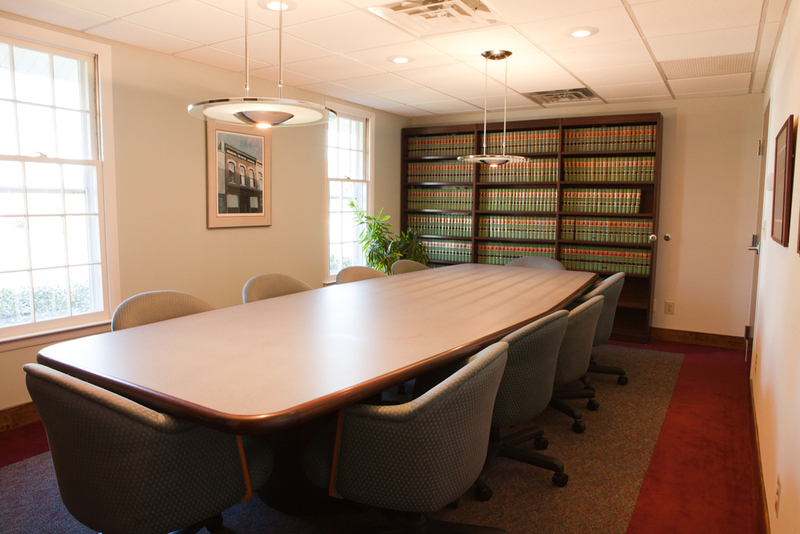 MBC also provided interior design services of finishes customized for Owner selections in the administrative suite. Finishes were selected for open office area and kitchenette to coordinate with new workstations, O&N accent colors and furniture. In particular, the carpet tile selected is formulated with EcoWorx tile backing and contains recycled content providing performance and sustainability. From the start of demo in early June, the tenant was able to move in on-time mid-July. 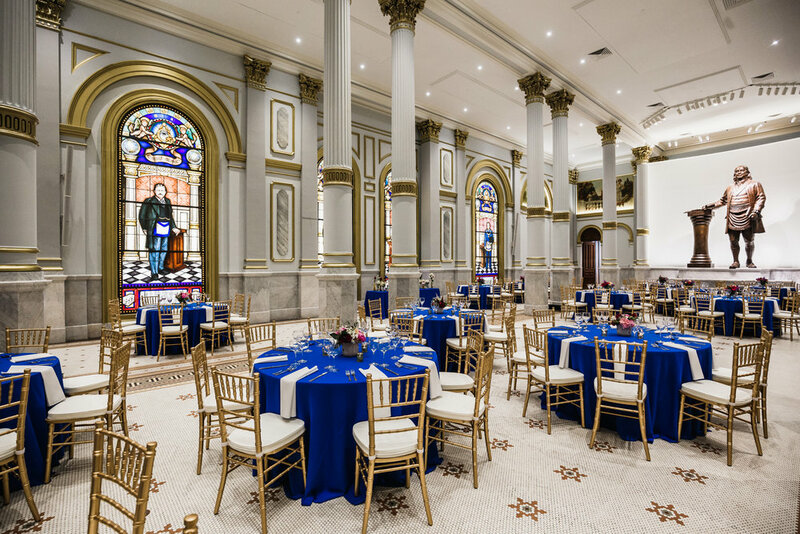 MBC provided extensive restorations to the Grand Ballroom at the historic Masonic Library & Museum. LED lighting packages replaced 16 chandeliers and illumination of the four main 16’ stained glass windows here and structural steel reinforcements were precisely installed to support a 2,700 lb. 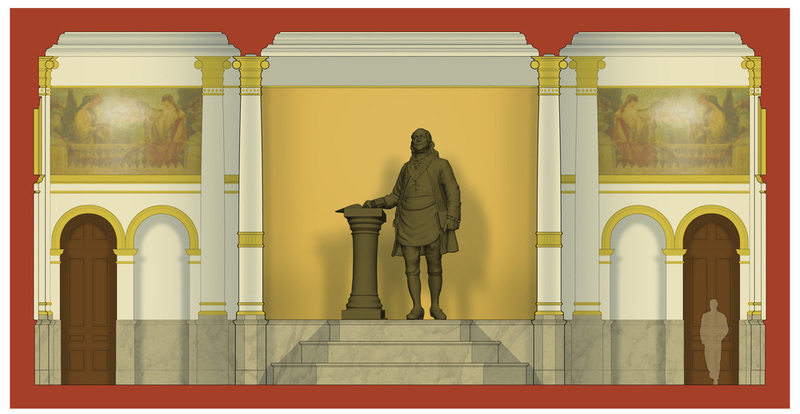 bronze statue of Ben Franklin atop a raised marble stage with a 21’ radius wall. Additional repairs included custom paint & tile restoration along with marble wainscoting cleaning & repair. Both men and womens restrooms were fully remodeled and an ADA-accessible bathroom was added. Exterior sitework and a second bronze statue is also planned for installation. Construction began January 2016 and completed Summer 2016. Coordination of a 13 foot bronze sculpture install of Ben Franklin to his new home at Masonic Temple Philadelphia.